Antique style angel vector illustration of a lovely cherub and old engraved decorative leaves scrolls. 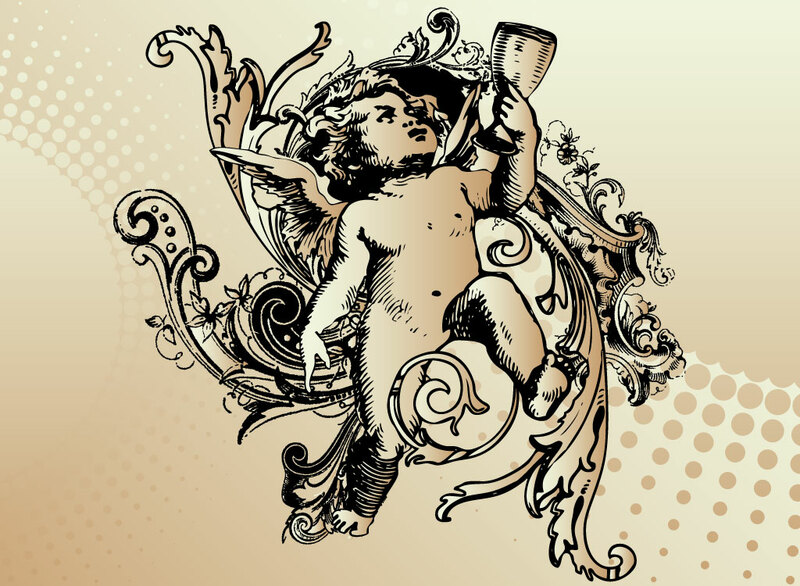 This classically illustrated cherub would look amazing as a tattoo, t-shirt, or Valentine's Day poster design. Angel designs look great on business cards or invitations. Download as Illustrator AI and PDF vector art files for your freebies stock images collection. Tags: Angel, Antique, Cherub, Classic, Divine, Heaven, Valentine, Vintage, Wings.